Coordinate systems come in two flavors, left-hand ("lh") and right-hand ("rh"). As shown below, the handedness of a coodinate system determines whether a positive rotation is clockwise or anti-clockwise. The thumb and fingers of either the left or right hand can be used to visualize the direction a positive rotation. For example, to decide whether a positive rotation around the x-axis of a right-hand coordinate system is clockwise or anti-clockwise point the thumb of the right hand along the x-axis; the "curl" of your fingers will indicate the direction of the rotation is clock-wise. Unlike RenderMan, most 3D modeling applications use right-hand coordinates. Rib files generated by Maya, and Pixar's RenderMan Studio (RMS), apply a negative z scaling to the viewing transformations. 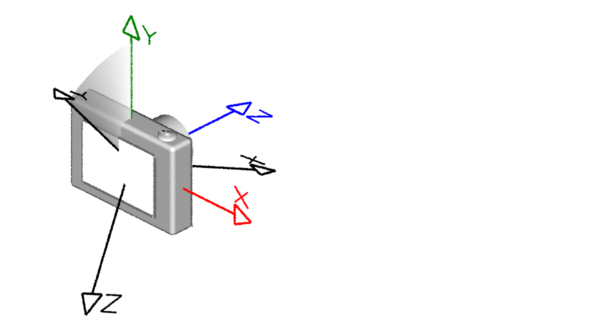 The scaling ensures the coordinate system of the WorldBegin / WorldEnd block is right-handed. The predecessor to RMS, a product from Pixar known as RenderMan Artist Tools (RAT) also inserted a ReverseOrientation statement immediately after WorldBegin. This was necessary because RAT, despite the use of a right-hand world block, specified surface data (vertices of polygons etc) in left-hand order. 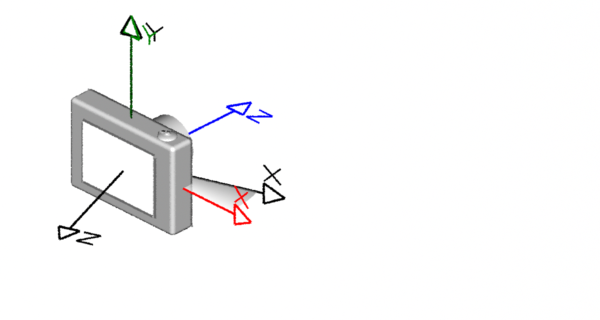 The ReverseOrientation ensured that surface normals were correctly orientated. The Maya plugin for RMS, RenderMan for Maya Pro (RfM Pro) writes surface data in right-hand order and as such the call to ReverseOrientation is not required. immediately after WorldBegin to ensure that surface normals are correctly orientated. Rib files generated by Cutter as well as those listed in the Fundza tutorials conform to RMS in the sense that the world block is right-handed and vertices are listed in right-hand order. Traditionally, example rib files listed in Pixar's documentation specify a left-hand camera and a left-hand world block. In other words the negative z axis of the world is "pointing" at the camera. 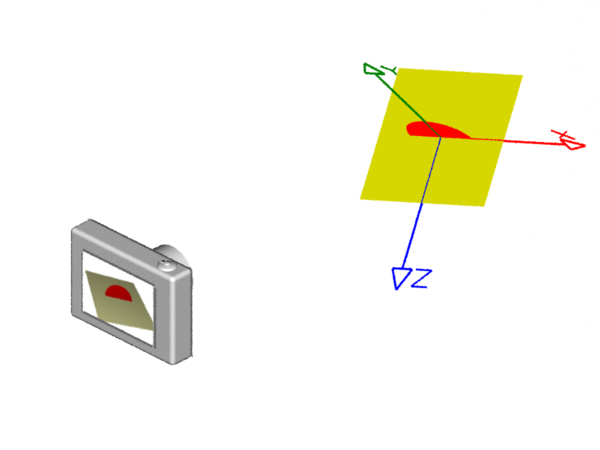 Whereas the rib files from RMS, RAT, Houdini and Cutter specify a right-hand world block in which the positive axis of the world is "pointing" at the camera. While ReverseOrientation corrects the reversed normals in rib files written by RAT (actually, its Maya plugin called "mtor") it has an undesired side-effect on quardics and as such unfortunately causes them to become reversed! This is not an issue for Maya and Houndini because their tool kit of surfaces do not include quadrics. However, the unexpected flipping of the surface normals of quadrics is very significant when dealing with hand-written rib files that include the use of the ReverseOrientation statement. More information can be found about this issue in the tutorial "RenderMan: Reverse Orientation & Quadrics". 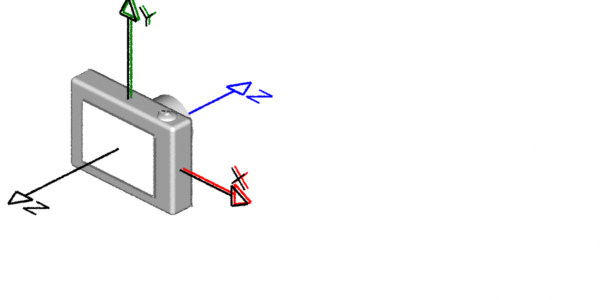 Second, the negative rotation of 20 degrees around the y-axis is applied. Third, the negative rotation of 40 degrees around the x-axis is applied. 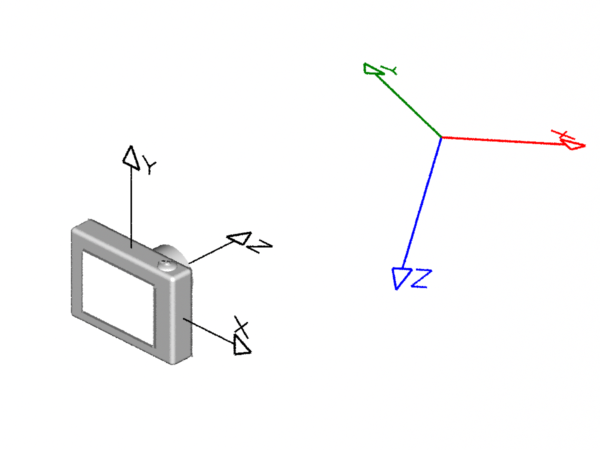 Finally, the transformed coordinate system is moved 3 units along the z-axis of the camera. 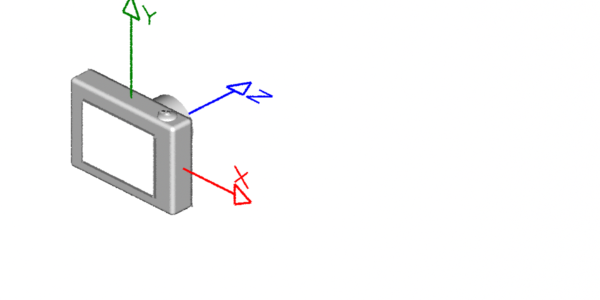 The copy of the coordinate system now becomes the "world" coordinate system - also refered to as the current coordinate system. The illustrations shown above visualize the effects of each rib statement or group of statements. The visualizations have been made on the assumption the camera remains in a fixed upright position. Consequently, the contents of the 3D scene ie. the polygon and the disk specified in the world block, have been drawn in a tilted position. 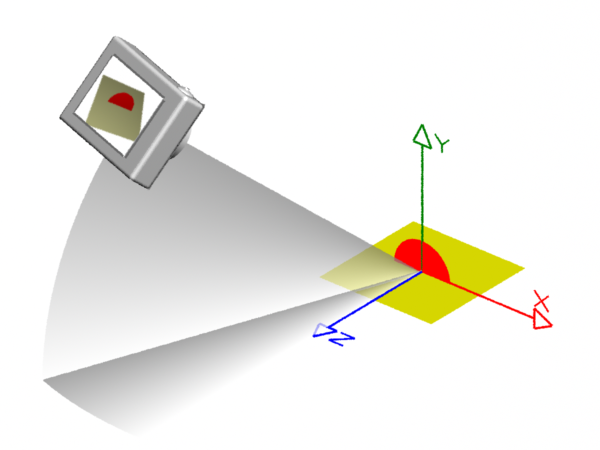 As shown below, the orientation of the camera and the world can be adjusted so that the y-axis of the world is seen in the more familiar upright position. Whether you imagine the world is oriented relative to a fixed camera, or the camera is oriented relative to a fixed world is entirely up to you. What is important are the camera transformations that establish the relative relationship of the camera and the world.